The exhibit joins the WWII narrative that visitors experience across the Museum’s six-acre campus, with galleries that explore the road to war and then how the war was fought on the Home Front. Allied victory was an epic undertaking fueled by stateside industry, ingenuity, and the labor of millions of patriotic Americans. 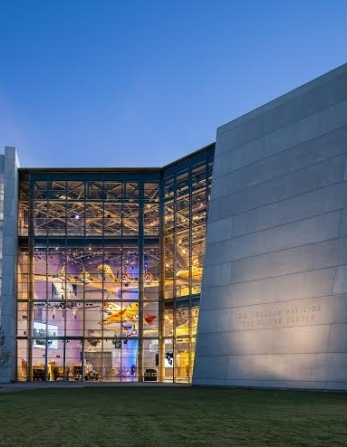 Through multimedia and interactive displays, and drawing on artifacts and oral histories from the Museum’s extensive collections, The Arsenal of Democracy creates countless opportunities for visitors to make personal connections with the men and women who helped win the war.